In this new era of content creation, many folks suddenly find themselves responsible for writing. Unfortunately, lots of them either have no interest in writing, lack the time, or don't consider themselves qualified to produce well-written material. So, how do you create blog posts and other materials if you don't want to write? Perhaps it's time to hire a professional! Just like when hiring a plumber or roofer, having someone you know vouch for a person's work puts your mind at ease. Ask your friends, family, former and current colleagues for a recommendation. Chances are someone you know has worked with a freelance writer at some point and may have a name or two to send your way. If your network doesn't come back with any referrals, try looking at elance, Freelance Writing, the writing section of Craigslist, or Google "writers for hire". Writing fees have plummeted during the recession, so there's a big gap separating high and low wages. I've seen ads offering $5 to $10 for blog posts (which, as a writer, I think is criminal). For comparison, several years ago when I worked at a publishing house we offered our freelance writers $125 per 500 words. In short, there's no hard and fast rule on what to pay. However, sometimes you can offer less if you can guarantee a constant stream of guaranteed work (if, of course, the first assignment goes well). If the person is an active writer, he or she should have work published somewhere on the web (online samples with attribution are better than Word docs because they are less likely to be plagiarized ). Look at their writing style, range, and voice to determine if it's a match for you. Also, check out the person's LinkedIn profile to read what others have said about working with him/her. Writers like to have samples of their work, so some may be more inclined to accept less money in exchange for a byline and/or a link back to their own sites. If, however, you're looking for a ghostwriter, you may have to offer more money since the person won't receive any added exposure by writing for you. Writing is not a math. It's subjective and, as such, can vary greatly. Be very clear up front as to what you want the piece to accomplish and the tone of the writing. Then, agree upon how many rounds of rewrites are included in the fee. Up to two round of edits is acceptable. If you require more than that, chances are you may not have been clear enough about your expectations. Do you just want the writer to write? Will he/she be responsible for all the research? Will you be providing resources? Will the writer be tasked with finding images for the post? Inserting links? Designing the post? To make sure your project goes smoothly, make sure everyone understands the parameters of the project before you begin. You can compensate a writer by the hour or by the project. Each has it's own set of pros and cons. As a writer and a client, I personally prefer a flat rate. That ensures that the project doesn't exceed your budget and that both parties understand the terms of the work and the compensation up front. Before getting started, clarify how and when the writer will be paid (e.g. upon final approval via PayPal). In this new world of social media, content creation is quickly becoming everyone's responsibility: accountants, mechanics, sales people, realtors, etc. If you choose to outsource your efforts, be sure you do your homework and be clear about deliverables. That will spare you and your freelancer a lot of headaches. Have you ever hired a freelance writer before? If so, what did I miss? Are you a writer? What else should potential clients consider before making a hire? Also would be check in which field the writer is very well in writing, the writer might say he/she is good in this/that field, read their works on it, and you will know is it true or not! Also it would be good that, there's a small bio of the writer also put up on the post, that also helps the reader of the site to know, who the author is in a brief manner! Hello Kevin! Yes, it's important to review writing samples to ensure you hire someone capable. Especially if it's specialized writing like medical or insurance topics. And, yes, writer bios are a great addition to the final product (assuming it's not a ghostwriting assignment). They're great for the writer and the blog owner, as well. Great post! I so often see posts for freelancers and rarely for their potential clients. As a freelancer, I find all these points to be spot on...especially the point about rates. I can't imagine writing for the rates that I see on some of these sites but clearly some people will. 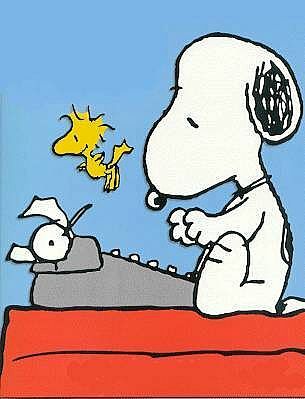 I think as a writer it's important to be proud of your craft and insist on rates commensurate with your professionalism and as a client to value writing as any other professional service! THANK YOU, Cathie!!!!! I couldn't agree more. As bad as it is to OFFER those low rates, I find it equally maddening when writers accept those rates. Thereby, setting a new low for the writing industry. If writers refused to work for that insulting wage, it would stop happening. Unfortunately, content mills have set $10 as the standard fee and writers accept those rates. Makes me nutso. Great, great input, Cathie! Thanks so much for saying this! You stole my point. I used to look through the freelance writing listings until I became so frustrated with the egregiously low rates that I had to quit. I don't know of any writer that should accept $10 for an article, even if that writer's a sophomore in college. It's even worse for writers who have graduate degrees and are being asked to write for those kinds of wages. Grrr. I'm equally frustrated by people who decide those rates are acceptable. They ruin everything for everyone. Double grrr. I cut my own grass and iron my own shirts; you think the wife is going to let me hire a writer? Actually, we are re-launching our website very soon and it will have a blog. I do know we have free-lanced some of the articles and it was a flat rate. I believe we used elance; we submit a topic, get some hits and 'buy' several. I think we pay by the article. I guess it depends on what you are trying to accomplish and how much you would need them, huh? Certainly good information however. Very timely article for me. Launching a new baseball themed blog that I'll definitely need some help with. What will be interesting for me is how I can find the right folks for the topic. Either way, very helpful stuff! Great post, Amber. As a marketing and content writer, I applaud (nay, standing O) your stance on pay rates. I'd rather do something that doesn't require too much brain power (like drive a taxi) so I could save my creativity for my own writing. 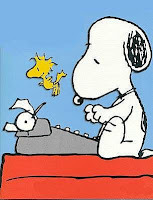 On another note, other places to find professional writers include: biznik.com and linkedin.com. Or ask your best web or graphic designer -- they usually "partner" up with a writer or two. And, thanks for throwing out the additional resources! Good input! Thanks for reading, Jason! I actually have a few people in mind that are sports writers. If you're interested in an introduction or two, let me know. Hi Bill! Yes, goals and frequency certainly play into the equation. Freelancers like stable work, so if it's a long term project (e.g. weekly blog posts), a client probably has a little more negotiating power. P.S. Can you iron my shirts, too, Bill? When stuff gets wrinkled, I just throw it out. Thank you for sharing.I truely impressed your posts., it has excellent information whichis very helpful for us. As someone who is actively looking for freelancers and has used them in the past, I am shocked that people actually think $5-$10/post is acceptable. That really is criminal and I wonder about the outcome expectation associated with that fee. That said, thank you, thank you, thank you for such great tips! I feel like I'll do a better job already of finding my next writer! The bad economy has created a new low for writing fees. Everyone wants to get good talent for pennies on the dollar. It's really a crime. But, the writers who agree to work for that wage are guilty, too. By accepting the work, they say that it's alright to offer those insulting wages. Thereby, setting a new industry low for compensation. On a brighter note, I'm so glad you found the tips useful, Erica. That makes me happy! A better alternative than hiring a freelance writer directly is to use Scripted.com. They'll hire the writers for you, manage deadlines, and you can call an account manager if you have a problem. With Craigslist, Elance or oDesk, there's no guarantee you get high quality writing. With Scripted, the guarantee is 100%! Big difference in time and quality, and the cost is still comparable!